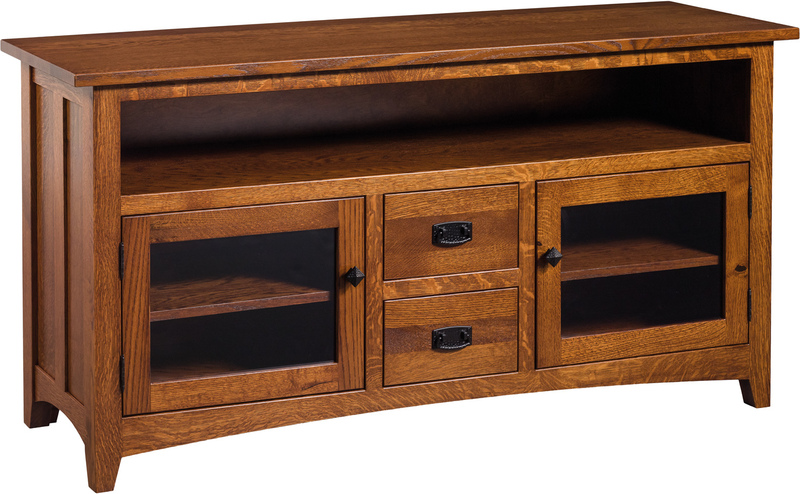 Our custom TV console program allows you to choose your door style and storage configurations with any of our TV consoles. Choose either quartersawn white oak or cherry wood for the look and feel you want. Even with a large selection, custom sizes are not a problem at The Mission Motif.